This was the main finding in a recent study that said pitchers who threw with a more overhand arm slot (they call it “excessive contralateral tilit”) could throw on average 3.3 mph harder but experienced 10% more force to their throwing arm (shoulder and elbow) More velocity is great but is it worth the added stress from more force being applied to the elbow and shoulder? How do I measure my own tilt to see if it is “excessive” or not? How does it make me throw harder? In Part 2 of this article I will go on some rants about the information in this study with some more practical and thought provoking ideas. 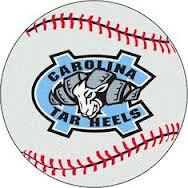 The study that I am talking about came from the research lab at the University of North Carolina and I got it ahead of its actual publishing date in the American Journal of Sports Medicine. Thanks Peter!!! Mike Reinold tweeted this study a couple of weeks ago as well. The Effect of Excessive Contralateral Trunk Tilt on Pitching Biomechanics and Performance in High School Baseball Pitchers. Authors: Sakiko Oyama, Bing Yu, Troy Blackburn, Darin Padua and Joseph Myers from the University of North Carolina. Question #1 – What’s “Excessive Contralateral Tilt” ? 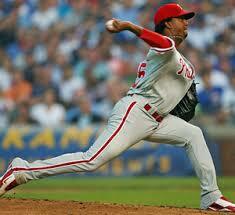 Contralateral tilt is when you lean your body towards your left if you throw right handed. Check out the Martinez brothers, Ramon and Pedro, demonstrating different amounts of trunk tilt. Ramon on the left is demonstrating contralateral tilt while Pedro has a very upright trunk with no tilt. 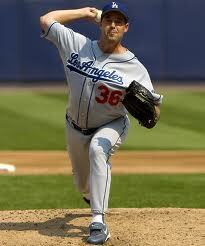 If you leaned the other way you would demonstrate what’s known as ipsilateral tilt like Chad Bradford. The tilt is required to keep the arm at roughly a 90 degree angle from the body. It’s this 90 degree angle Plus or Minus 5-10 degrees in either direction that is thought of as being safest and most powerful. Here is a great picture that has three different pitchers all with their shoulders in and around that 90-100 degree angle from their torso yet their “arm slots” are very different. Since this shoulder to torso angle is fairly similar with most healthy pitchers we should really use trunk tilt to describe where they release the ball rather than arm slot. Question #2 – How do I measure my own tilt to see if it’s “excessive” or not? What I really like about this study is how they gave us a tool that we can use to determine how much trunk tilt our pitchers exhibit when they throw, using nothing more than a standard camera or two. They used two synchronized cameras to film each player’s delivery from the side and from straight on. 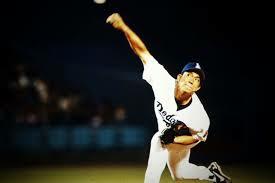 They used the side view to look for the point when each pitcher reached the point of maximum shoulder external rotation. Some people call it the “layback” position and it is followed with the explosive internal rotation of the baseball so it’s a pretty important point of the delivery. When the pitcher reached this “layback” position they looked at the synchronized camera from the front and took a picture of this particular point in the delivery. “the head width can be easily observed from the frontal view video and is roughly related to the body size, which provides normalized cutoff criteria for each pitcher. 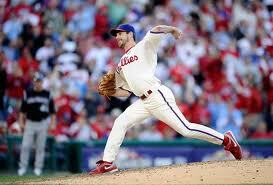 In this picture we can’t see Cliff Lee’s front foot but his head does look a little outside of his knee so he might be a boarder line “excessive contralateral tilter”. Below you’ll see Maddux on the right WITHOUT excessive tilt and Linsecum on the right WITH excessive tilt. These researchers did all the heavy lifting by analyzing each pitcher with their fancy and expensive motion capture system (7 high speed camera system with 40 reflective markers) to see exactly what kind of forces were being produced at the shoulder and elbow joints. Question 3 – Why Does an Excessive Tilt Increase Velocity? The reason(s) why the 31 pitchers WITH excessive tilt threw an average of 3.3 mph harder than the 41 pitchers WITHOUT excessive tilt could come from a lot of different factors that weren’t recorded or reported. While both groups were statistically the same in regards to their age, height, weight and years of pitching experience (all of which can contribute positively to throwing velocity) we don’t know for example how much power they can produce with their legs. In fact the lower body mechanics were not reported in this study and we all know how important their role is in throwing gas. 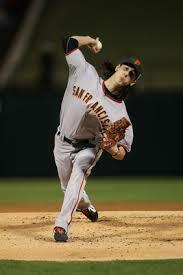 pitchers with excessive tilt demonstrated less forward flexion of the upper torso at stride foot contact and utilized more trunk movement in the frontal plane and less movement in the transverse plane during the arm-cocking and acceleration phases of pitching. This statement opens up a whole can of worms because its implying that in the upper body, linear power in the frontal plane is more important in the creation of velocity than rotational power. Most pitchers use both linear and rotational power but certain pitching deliveries can stress one of these power sources more than the other. I have talked about this linear vs. rotational power topic before when I discussed what pitchers can learn from shot putters – check it out here and scroll towards the end of the article to read my thoughts. The authors of this study also attributed some of the increased velocity to the gravitational forces that can assist between the arm cocking and acceleration phase. 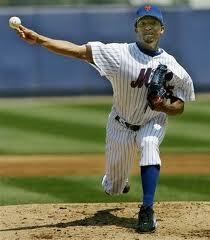 The pitchers without an excessive tilt rely more on the muscles of the hip and trunk to create power. Question 4 – Why does an Excessive Tilt Produce More Elbow Joint Forces? It’s pretty simple to understand that guys who throw harder have to deal with more joint forces, it takes a lot more force to both accelerate and decelerate an 90 mph fastball compared to a 80 mph fastball. This increased risk comes with the territory of throwing hard. 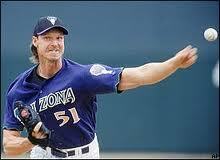 Its when there’s increased levels of force without elevations in throwing velocity that we have to start worrying. There’s more risk without any reward. Higher amounts of proximal force at the elbow and shoulder for example were seen with pitchers that threw harder regardless of the amount of tilt they used. 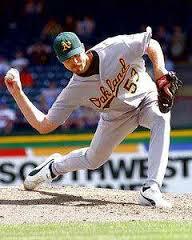 In pitching, proximal force (which means towards the middle) at the elbow and shoulder is needed to keep those joints together. Every time you throw, the bones of your arm have been accelerated towards the plate creating what they call a distraction force which means that these bones are literally being pulled away from one another. 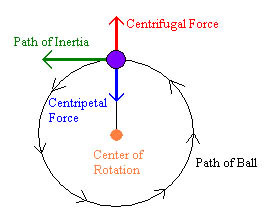 So, the more we accelerate our arm, the more centripetal or proximal force we need to decelerate that arm in a circular motion to keep our throwing arm intact. ball speed was significantly correlated to joint moments for the pitchers without excessive tilt but not for the pitchers with excessive tilt. These results indicate that greater joint moments experienced by the pitchers with excessive tilt are not related to the greater ball speed they produced. This means that higher throwing speeds resulted in higher amounts of joint moment/torque for pitchers without an excessive amount of tilt. The excessive tilt group had higher levels of torque at the elbow (varus moment) and shoulder (internal rotation moment) without any increase in throwing velocity. The added risk wasn’t worth the reward. Since the tilt group is throwing more over the top, the elbow and shoulder have to deal with stress in a superior direction. 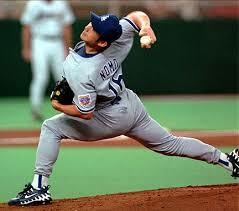 If you look at Nomo in the picture below you can see that he is about to accelerate his arm towards the plate, this is a physical stress that anyone who throws a baseball has to deal with. But, since he has a great deal of tilt, his shoulder and elbow are going to be accelerated in superior direction as well. Superior here means towards the sky. 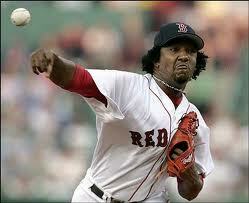 Whereas Pedro is only going to have to deal with the stress of accelerating his arm horizontally. 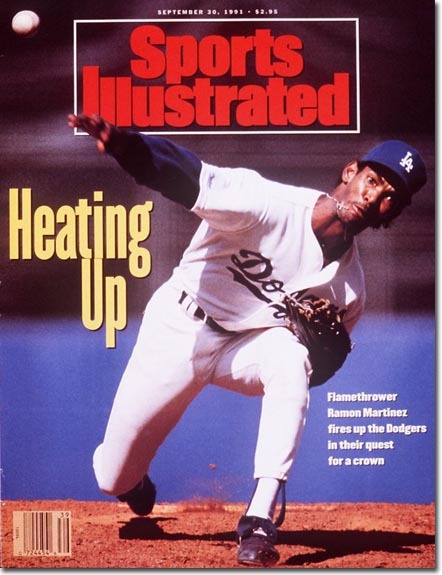 In Part 2 of this article I will go into some more detail about what this information means and how we can use it to make ourselves and our pitchers better. It’s quite damaging and not reward giving doing excessive tilts. As stated above, it doesn’t add up velocity to the thrown ball. 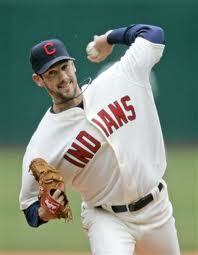 No more, no less should a pitcher over extend himself with the idea of overpowering his throw.